As a way to show appreciation for your work, fans will often want to spoil you with items off your wishlists. There are several different websites that offer wishlists. Most include both sexual items (toys, lingerie, etc.) and everyday items that you may want. Some even let you pull items from any website you want and add them to your wishlist. The first wishlist site is Amazon.​ They have an incredibly wide variety of items that you can add to your wishlist: toys, lingerie, camming equipment, lighting equipment, lube, heels, make-up, and so much more! Aside from sexual items, they also have thousands of regular, everyday items that you can add to your wishlist. Sometimes fans prefer to spoil you with something that you can use in your everyday life, outside of work. Amazon also allows you to add email-delivered gift cards to your wishlist. If one of your fans wants to let you pick out an item yourself, they can buy you an Amazon gift card for any amount they want. It will go right to your email and you can apply the balance to your Amazon account. If you’re selling custom content, tangible goods, or even Skype shows, your customer can also use Amazon gift cards to pay for that service if you allow them to. This is a good option because it completely eliminates the chance of a chargeback. Besides the thousands of items that you can add to your wishlist through Amazon directly, they also have a universal wishlist button that you can add to the top of your browser. When installed, it allows you to easily add items from any website to your Amazon wishlist. There have been some reports of adult models getting their Amazon wishlists shut down. This is a rare occurrence, so you’ll be fine as long as you’re careful. Just make sure you don’t put any links to your adult content in your wishlist description. There is one major flaw with Amazon as far as security goes, but I’ll tell you how to avoid it. When you add items to your Amazon wishlist, your address is not shared with the person who is buying you the item, but it is of course given to whoever is shipping the item. When you go into your wishlist settings, you can choose to accept or decline Amazon’s third party shipping agreement. If you choose to decline it, you can only add items that ship from Amazon directly to your wishlist. If you choose to accept it, third-party merchants (ones that are not Amazon themselves) will have access to your shipping address when you add items sold from them to your wishlist and a fan purchases them. This isn’t a problem in most cases, and any issue with it can be completely resolved if you have a PO Box as your address. But if you’re using your personal address, and a problem arises with shipping, that merchant will most likely contact the fan who purchased you the item, and in their correspondences, may unknowingly reveal your address to that fan. So just be cautious of this when choosing whether to allow shipments only from Amazon or from third-party merchants as well. The second wishlist site is DeliveryCode. They are completely adult-friendly, so you never have to worry about your wishlist getting shut down. They are secure, so your personal information will never be revealed to the buyer. DeliveryCode allows you to easily add items from any website to your wishlist. One issue I’ve noticed with DeliveryCode is that they charge a small fee when your fan purchases an item, as well as a shipping charge… even if you’re in the United States. Generally I’ve noticed the shipping charge to be between $9.99 and $19.99. Some fans don’t mind paying the extra money in order to get you exactly what you want, but with Amazon having such a wide variety of items themselves, and many of those items having free shipping, sometimes DeliveryCode is not the best option. Aside from gifts off your wishlist, your fans can also send you money through DeliveryCode. You can choose to use your money to buy yourself something off your wishlist, or have the money deposited directly into your bank account. They just added this option today, actually! Other sites such as FreeOnes and Mypornprofile offer wishlists as well. These wishlists feature only adult items, but there is a wide variety of items to choose from. These wishlists aren’t as popular as Amazon or DeliveryCode, but it doesn’t hurt to advertise them on your social media accounts if there’s something on them that you like. When your fans purchase you something off of your wishlist, make sure you thank them. Unless they put a custom message on the gift that lets you know who it’s from, you aren’t going to know unless they personally tell you. If you aren’t sure who bought you a gift, post a few pictures of yourself using the item on social media. Say how excited you are to have received it and ask who got it for you. 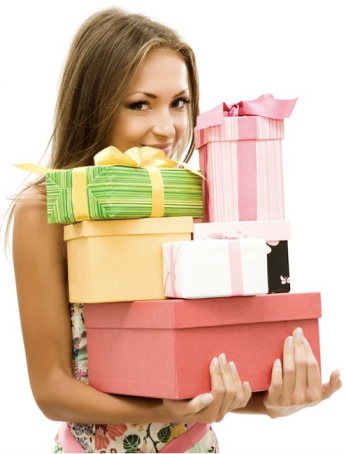 Showing your appreciation and spoiling the fans that spoil you will help you get more items off of your wishlist.